Esigo 11, Made in Italy plexiglass wine rack, design wine rack, practical and original for wine shop and wineries retail store furniture. 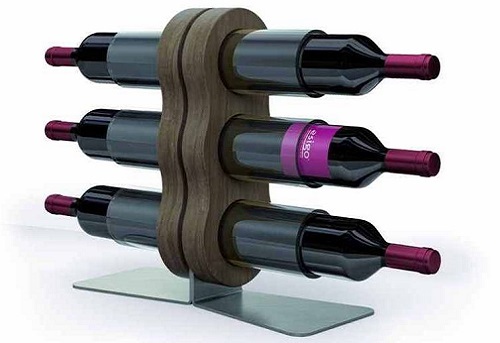 Esigo 11, the plexiglass wine bottles holder with a contemporary design that allows you to have from 3 to 6 bottles always on hand; it is practical and original. A plexiglass wine display unit to highlight the bottles on show in environments where people talk and live wine, at home and when furnishing wine bars, wine shops, wineries tasting rooms and retail shops.